The recently published The State of the European Tech, co-sponsored by Atomico and Slush is an extremley interesting analysis of the European tech start-up and VC scene. it is a rather long 118-slide document but most (not all) pages provide food for thought. – The introduction is too optimistic (slides 5-7). I doubt their title: the future is being invented in Europe. 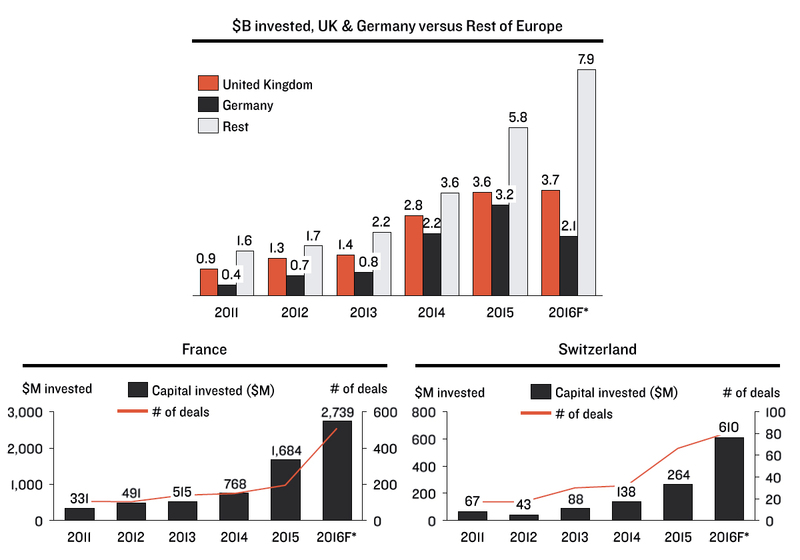 But it has always been Atomico’s founder vision: see Europe and Start-ups : should we worry? Or is there hope? The future will tell us… One interesting point though: London, Berlin and Paris are the 3 hubs main European hubs and Paris was probably underestimated (in the past). – The entrepreneurial mindset is continuously improving (slides 15-16). Repeat entrepreneurs are more numerous (slide 18). And they mention their importance not so much as future successful entrepreneurs (you may know my doubts – check Serial entrepreneurs: are they better?) but because of the experience and network they bring. – I love slide 21 with EPFL #4 world wide in Computer Science (though I hate these rankings!). Switzerland is clearly on the map together with the UK. I am honestly less convinced about the impact of business schools in tech (slide 22). Talent exists in Europe but may not be available for tech (slide 23). – Migrants (slides 27-29). Again the UK is #1. France and Germany follow. And Switzerland is well-ranked (except for non-Europeans). – Their section about deep tech is less convincing (to me). Probably I did not fully understand what they meant by that and why it would be so special. Slides 78-9 about US tech giants coming to Europe and about their acquisitions in Europe is worth checking though. – I was not convinced either about the growing awareness of European corporations of the importance of tech. Their investments and acquisitions are still small compared to their US counterparts (slides 84-86). But slide 83 is the confirmation of a scary situation. This is another illustration of the Darwinian and Lamarckian innovation. Look at next figure. All these notes were taken while reading so don’t see them as a deep analysis and you should build your own views about this really interesting analysis. This entry was posted in Innovation, Silicon Valley and Europe and tagged Europe, Silicon Valley and Europe, Switzerland on December 2, 2016 by Hervé Lebret.